If you happen to be in Copenhagen a Wednesday night, don't miss the opportunity to go come into Folkets hus for a jam. 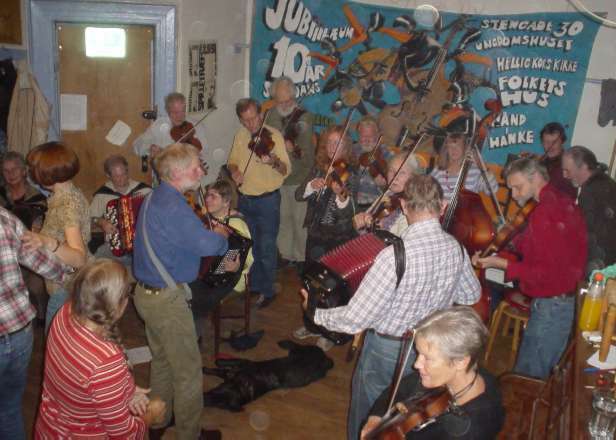 We practice every Wednesday night 20.00 hrs to about 23.00 (sometimes later). Every second Friday in a month there is a party called "ramslag"
It is a good idea before coming to study our latest repertoire list which is prepared for the yearly festival held in March.